Mega Sale! 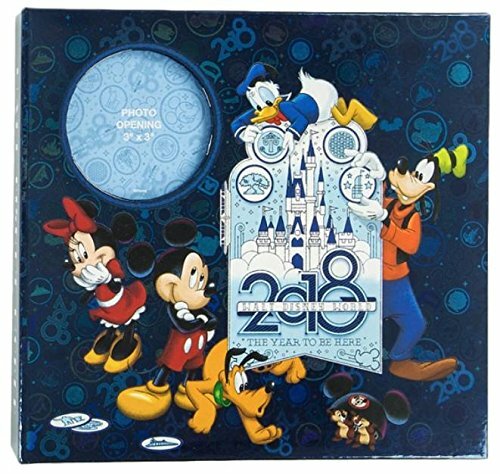 Save 21% on the Walt Disney World 2018 The Year to Be Here Medium Photo Album Holds 200 Photos by Disney Parks at Wow In The Details. MPN: unknown. Hurry! Limited time offer. Offer valid only while supplies last. This is a lovely Walt Disney World theme park exclusive 2018 The Year to be Here medium photo album. 50 photo sleeves - holds 200 4 x 6 inch photos. This is a lovely Walt Disney World theme park exclusive 2018 The Year to be Here medium photo album. 50 photo sleeves - holds 200 4 x 6 inch photos. Memo area. 1 photo CD sleeve (holds 2 CDs). Photo safe, acid free, PVC free. Brand new, from smoke free environment.